A lovely drive with babbling brook, waterfall and a hillside of daffodils brings you to this stunning stone and brick, one-of-a-kind residence. This exceptional property merges grace and timeless elegance in a simple but dramatic way with old world allure. This extraordinary home has been masterfully renovated with top notch amenities to meet today’s standards. Light-filled spaces, character and charm, all create an ambiance of warmth and hospitality. Fritz Reiner, famous conductor of the Metropolitan Opera and Chicago Symphony, and actress wife Carlotta, called this home for 40+ years. Students, friends and fellow musicians Leonard Bernstein, Van Cliburn and Bela Bartok were all houseguests. The soaring ceiling in the living room, the abundant French doors, the impressive chef’s kitchen with large island for family gatherings, and Fritz’s music room are all reasons to fall in love. Entertaining at its best! The luxe master suite, 3 en-suite bedrooms and a guest wing with separate entrance offer space for all. 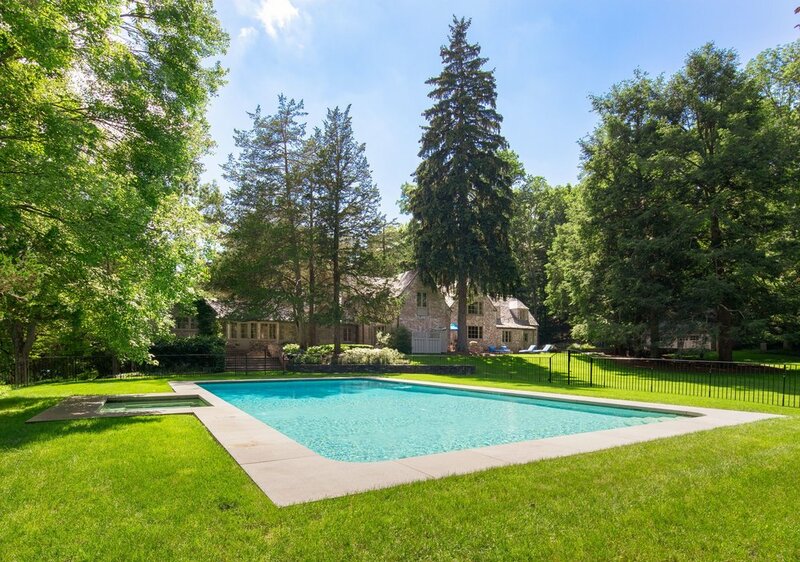 Winters with roaring fires, snow-shoeing, concerts in the music room; Summers by the Gunite pool, 2 terraces and sweeping lawns will be the perfect draw for family and friends. Your parties and events will become legendary! The privacy, meticulous landscaping, beautiful trees, and vegetable garden make it as wonderful to be outdoors as in. Bring your own spirit to this home and make this your — Best. Decision. Ever. Don’t let this truly special opportunity slip away!